LAHORE: Faiz International Festival with its blend of classic and modern themes of discussion ranging from qawwali to the spiritual importance of cities, dance performances by school children and attendance by high profile celebrities was an occasion for residents of Lahore to come together to replenish their thirst for all things art and culture. The second day of the festival was a huge success and saw people from every walk of life making their way towards Alhamra halls where the day was filled with sessions and panel discussions by poets, art curators and renowned literary figures. Pran Nevile acclaimed writer best known for his work, ‘Lahore: A Sentimental Journey’, was present at his book launch ceremony. Talking to Pakistan Today, Pran Nevile described the identity of Lahore to be abstract. “Lahore is an eternal city, politics and religion is not what one thinks when you mention Lahore, even to people who have never been here. Lahore represents the culture of subcontinent,” he stated. Zehra Nigah, popularly known in the literary circles as Zehra Apa, spoke about the importance of qawwali alongside Dr Arfa Syeda Zehra in a session discussing the history and journey of the modern day qawwali. She stated how over the years qawwali has been the voice that resonates with a human’s heart. Breaking into well- timed couplets of Iqbal and Faiz, Zehra Apa divulged into the history of qawwli and described how it was the medium through which Sufi saints propagated Islam in the subcontinent. Talkng to Pakistan Today, Zehra Nigah applauded the turnout of public at the festival and despite having spoken at her own panel, showed resolve to attend other sessions going on throughout the day. “It’s not every day that you see such events happening n Lahore,” she remarked in her signature style. Dr Arfa Syeda Zehra was also present at the session and with subtle humor and striking poise, established the spirituality of Qawwli to be an art lost on hard-line fundamentalists. Present at the festival was also renowned journalist Ayaz Amir, who speaking exclusively to Pakistan Today lamented the rarity of cultural and literary gatherings. “The Mall road has a rich history of culture and literature; it was the center of arts in Lahore. 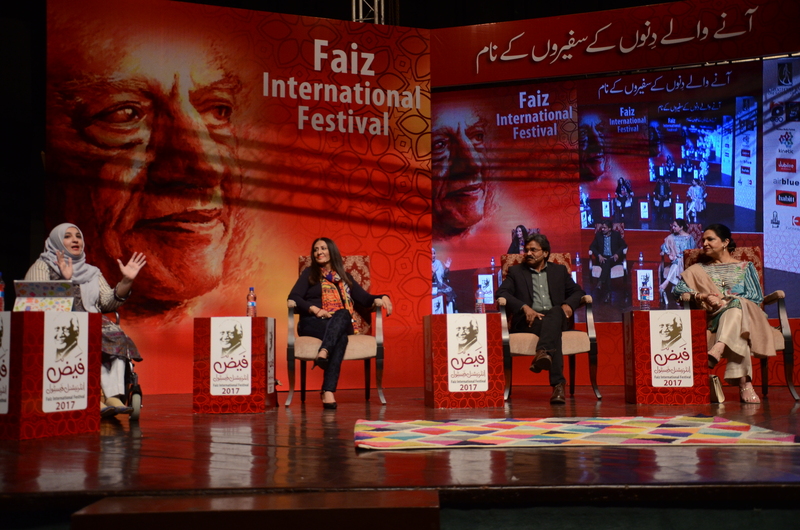 The young people today have too few occasions through which to educate themselves about their proud heritage and on that front Faiz Festival is doing something tangible,” he stated. Dance performance by students of a private school and panel discussion of female politicians looking for a way forward in Pakistan with women firmly at the helm also drew large crowds. The event saw a huge attendance of people from every walk of life. Where there were young university students lining up outside the hall where Sarmad Khoosat, Samina Peerzada and Samiya Mumtaz were discussing theater, drama and modern film journey of Pakistan, a similar gathering of elderly men and women was seen in the hall where Adeel Hashmi and Yousaf Salahuddin were reminiscing about their well known grandfathers. The festival was not just an attraction for people with refined literary taste, it was also an occasion for families to enjoy a day of fun filled activities. The enthralling food court, set up with stalls of tantalising food items drew as much of a crowd as the enthralling session of Mustansir Hussian Tarar, discussing the cities in literature. 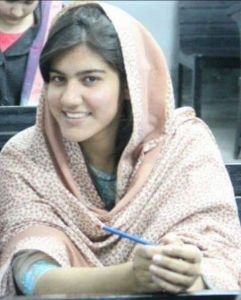 Fizza, a university student talking to Pakistan Today appreciated the efforts of the organisers of the festival and bemoaned the lack of opportunities available to young people to enter the art scene in Pakistan. “We want to indulge in arts and literary activities but have no guidance on how to break into the professional scenario,” she stated. With one more day of the festival left, residents of Lahore are sure to observe an enriching cultural experience, an experience that has become synonymous with Faiz International Festival. The writer is a former member of the staff.